The Moving Picture Blog: Phantasm: Ravager: A grand finale for the franchise? 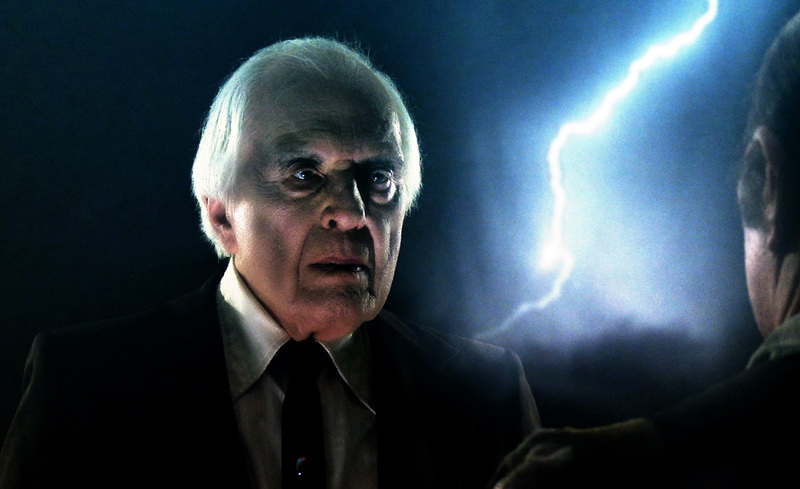 Phantasm: Ravager: A grand finale for the franchise? "It’s kinda-sorta like an Alain Resnais movie, only with zombie dwarfs. And four-barrel shotguns. And, of course, floating, blade-bedecked silver spheres. Phantasm: Ravager — the fifth and purportedly final installment in the cult-favorite franchise launched in 1979 with writer-director Don Coscarelli’s Phantasm — most assuredly is the surreal thing, a time-tripping, dimension-hopping whirligig that suggests Last Year at Marienbad (or, better still, Resnais’ Je t’aime, je t’aime) reconstituted as the fever dream of a horror-fantasy aficionado. "Anyone unfamiliar with its predecessors in the on-again, off-again series (which includes two direct-to-video sequels) won’t be able to make heads or tails of what transpires here. Indeed, even dedicated Phantasm fanatics may be hard-pressed to discern anything resembling a unifying narrative thread. But the latter group — the film’s target audience — likely will be willing to eschew coherence for the opportunity to savor this chaotic reprise of familiar characters and concepts in the cinematic equivalent of a greatest hits album." "It’s kinda-sorta like an Alain Resnais movie, only with zombie dwarfs. And four-barrel shotguns. And, of course, floating, blade-bedecked silver spheres." That, sir, is a great line.